Even at 50g (providing all the vitamins/minerals/amino acids/anti-oxidants/omega 3 oils and protein your body needs daily) at less than R20, Nucleo® is still cheaper than any junk food meal whether a hamburger or pizza – even if you would make it yourself! Think about it – if you don’t have any food and you only drink 50g of Nucleo® per day you will have all the nutrition your body needs to function at 100% capacity. Yes, you will lose lots of weight, but you will be able to function normally with all the energy you need. Imagine the cost! We have yet to find another product which combines even half the 43 ingredients in Nucleo® at less than R2000 per month. Pricing only 4 ingredients in pharmacies sold seperately: Spirulina, Colostrum, Amino Acids and Omega 3 alone amount to more than R1000 for a month’s supply. Imagine the loss if your intestine doesn’t absorb those expensive supplements in capsule or tablet form. 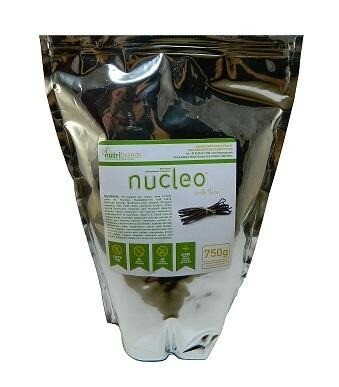 You have seen how Nucleo® applies natural, nutritional techniques to address the recovery and support of the intestine to increase absorption, so as your intestine recover, you are assured of full absorption of every component in Nucleo® as well as the nutrients in all the other healthy food, fruit and vegetables you are taking in.